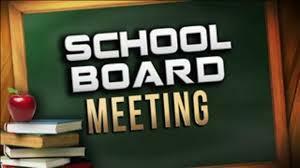 USD 407 Board of Education will hold their regular monthly meeting on Monday, April 15th, 2019, at 5:00 p.m. The meeting will be held in the board room located within the Central Administration Office at 802 N. Main in Russell, KS. Click here to obtain a copy of the agenda. Can't physically attend the meeting, but want to join in the fun???? Join us via Facebook live at Russell USD 407.